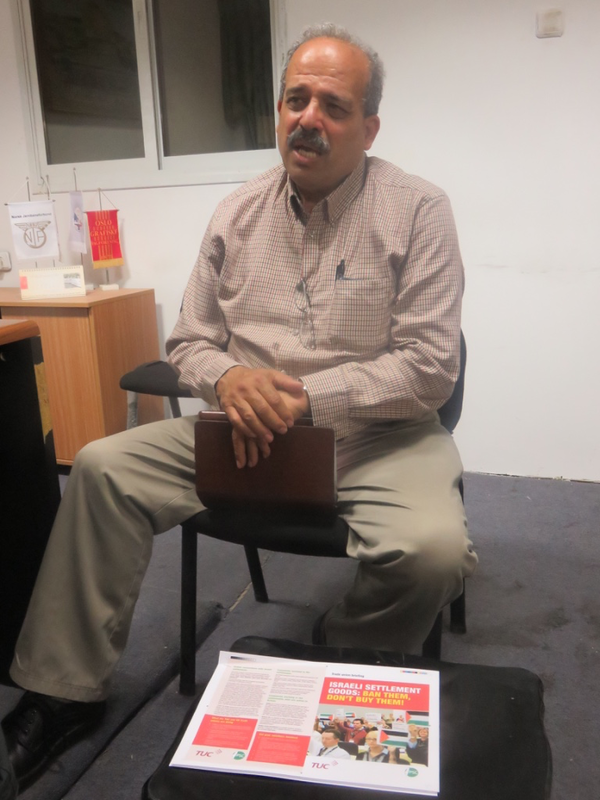 EAPPI does not have many opportunities, or time, to look at the rights of Palestinian workers, although we meet hundreds of them as they come through checkpoints every morning on their way to work in Israel. We see the men, at 4.30 am, at the checkpoints, putting back on their trouser belts and sometimes their shoes after having gone through security checks. We admire their ingenuity when they put their tools and lunch bags through the fence so they do not get damaged in the narrow metal fenced lines. We have talked to them of their fear of being dismissed if they are delayed because the lines are too long due to one defective thing or another or, as we were told one morning, there were “not enough soldiers to open all the lines”. We know that to come and work in Israel each worker has to have a permit. However it is not ‘their’ permit – it belongs to their employer who obtains it from the Israeli government. It can be taken away and there is no real redress. 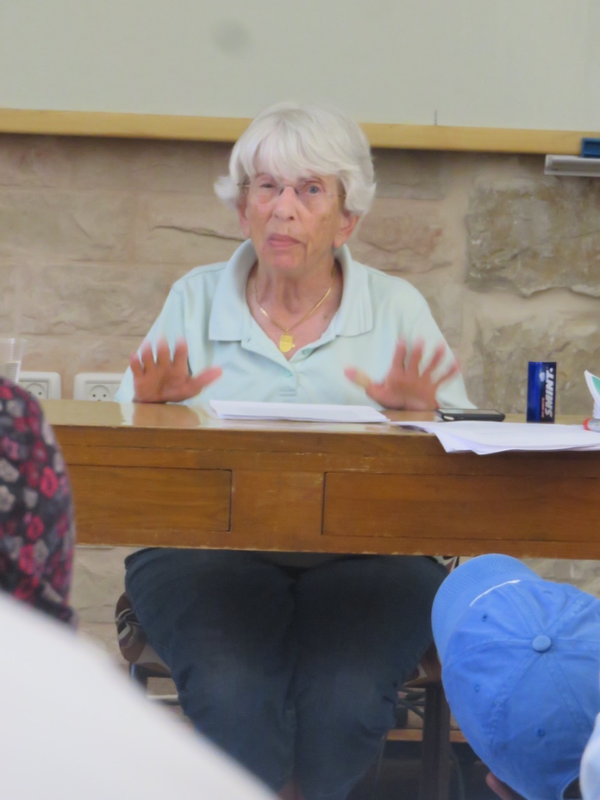 Hanna Barag, a spokeswoman for Machsom Watch, (the Israeli women’s peace group who monitor the checkpoints) described the system as “akin to slavery”. Hanna told us workers risk using the black market to get permits. 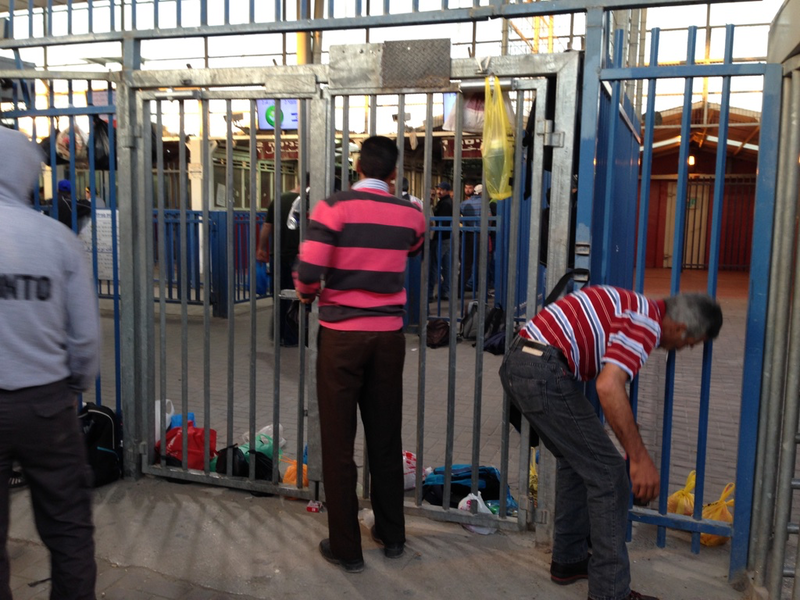 Tens of thousands enter Israel illegally every day to work. They are thus liable to arrest and punishment, and vulnerable to attempts to turn them into collaborators. The Palestinian adult workers are joined in supporting the Israeli economy by thousands of workers from abroad, particularly Thailand, and by child workers employed illegally. An article from the Israeli newspaper, the Jerusalem Post, last year looked at these issues. This year Human Rights Watch also produced a report on child labour in the Israeli settlements in the West Bank entitled, “Ripe for Abuse”. And this week Haaretz had a headline reporting, “Israeli right-wing party drops bid to have labor law apply in West Bank”. Those reading the piece may see similarities with the core arguments used by some employers in the UK on workers rights. The level of unionisation in Palestine is low and people are desperate for work. Unemployment, even in participants in the labour force, stands at 25.6%. And among those between 15 and 19 it stands at 40% (source: PCBS Labour Force Survey). If one looks at Gaza things are far worse. Some 80% of Gazans receive some form of refugee aid. Unemployment stands at 43% (source: Bloomberg Business). I have been lucky enough to be able to speak to a few trade unionists. In Jerusalem, I met with Manawel Issa Abdel All, a member of the Executive Committee of the Palestinian General Federation of Trade Unions. Manawel had travelled widely in the UK speaking to trade unions. He fully supported the BDS campaign (I explained EAPPI only supports ending trade with the settlements). Like many Palestinians to whom I talked, he could not understand the lack of international action to end the occupation of Palestine. He said the job of the union was hugely difficult. The restrictions on travel, the permit system and the high unemployment rate all made negotiations so difficult. He asked me to imagine negotiating with an occupying force. I could not. 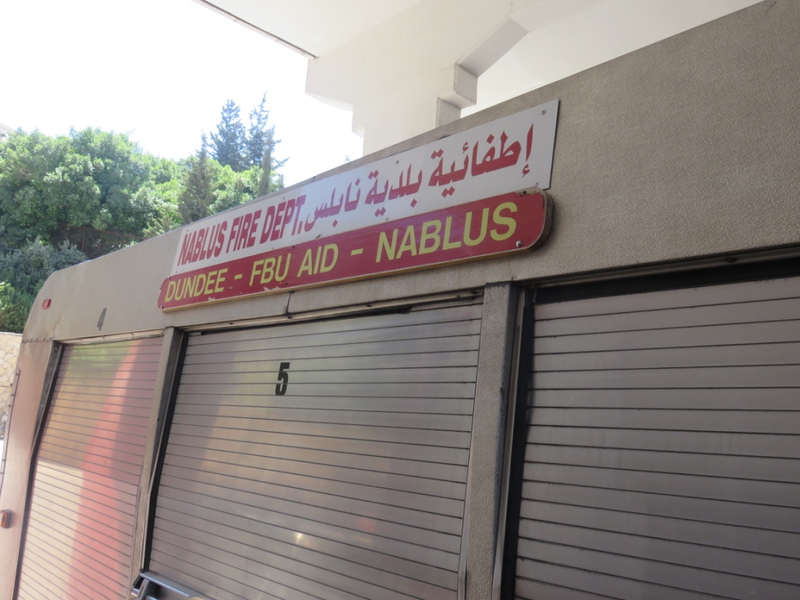 I visited Nablus Fire Station and met Shams Abu-Ghazalah. Shams had also had good contacts with UK unions. The Scottish Fire Brigades Union had driven two fire engines down from Scotland to Nablus. One did not make it past Greece but the other engine now works proudly in Nablus. And a UK trade union campaign lives on on the t-shirt of one of Shams’ colleagues! 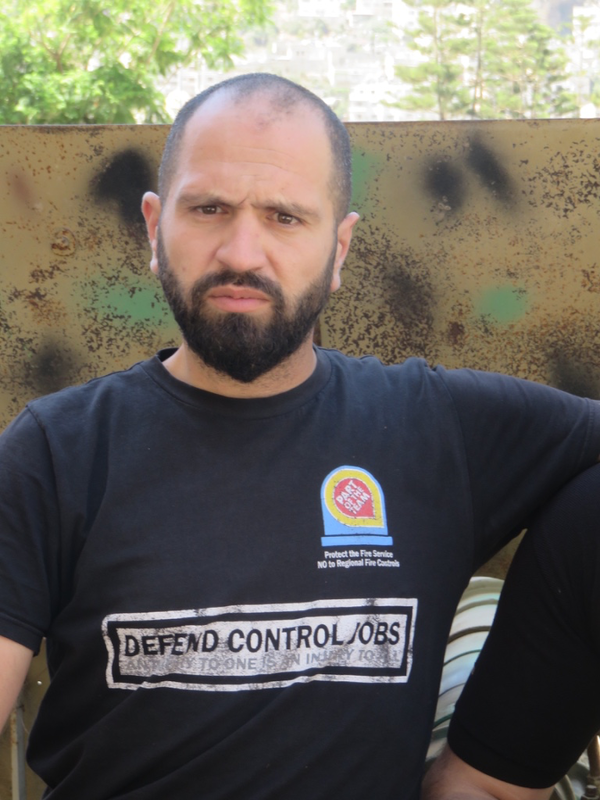 Shams told me of the problems of getting to fires when you could be stopped at Israeli checkpoints for no apparent reason, and even having to wait till IDs were checked. He said, “firemen the world over are a family because of our common enemy: fire. Here we have one more enemy: the occupation”. 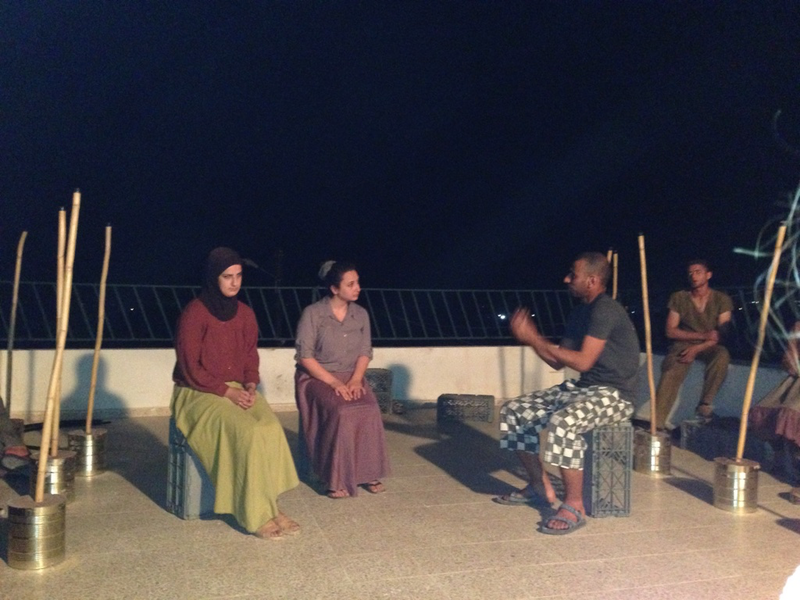 I was lucky enough visit the Jordan Valley Solidarity Movement building to see a community play where the issue of workers’ rights in the settlements was addressed powerfully. There is much to be considered also in respect of Palestinian women in the labour force and their rights. The number of Palestinian women in the labour force remains among the lowest in the world despite an increase during the past decade. The female labour participation rate in the occupied Palestinian territories in 2014 was only 19.4% compared to 25% in the rest of the Arab world. A new report states, “Weak economic and social outcomes, including stagnant growth, social fragmentation and gender bias, may undermine the capacity of the colonized population to withstand, survive and resist colonialism”. This new report – Unlocking the Labor Market for Palestinian Women – is worth reading. And for those interested in more information on workers in Palestine, B’Tselem (the Israeli human rights and peace organisation) has a feature on ‘Workers from the territories’ on their website. This entry was posted in Access and movement restrictions, Current EAs, East Jerusalem, Economic conditions, Jordan Valley, Uncategorized. Bookmark the permalink.